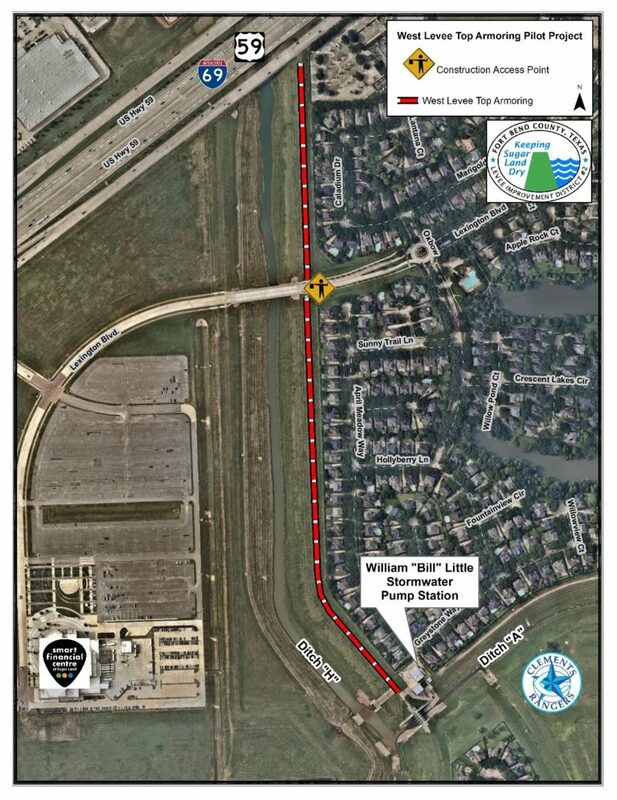 Beginning in June 2018, Fort Bend County Levee Improvement District No. 2 (FBCLID2) will begin a large capital improvement project within the community. The project will impact Ditches B, C, and E which drain storm water runoff for a large portion of First Colony. The goal of the project is to rehabilitate the ditch bottoms to prevent further erosion and to improve slope stability within these channels. When complete, the project will help remove rainfall runoff from inside the levee as efficiently as possible. The project is expected to take more than a year to complete, contingent on inclement weather, and should be finished in 2019. 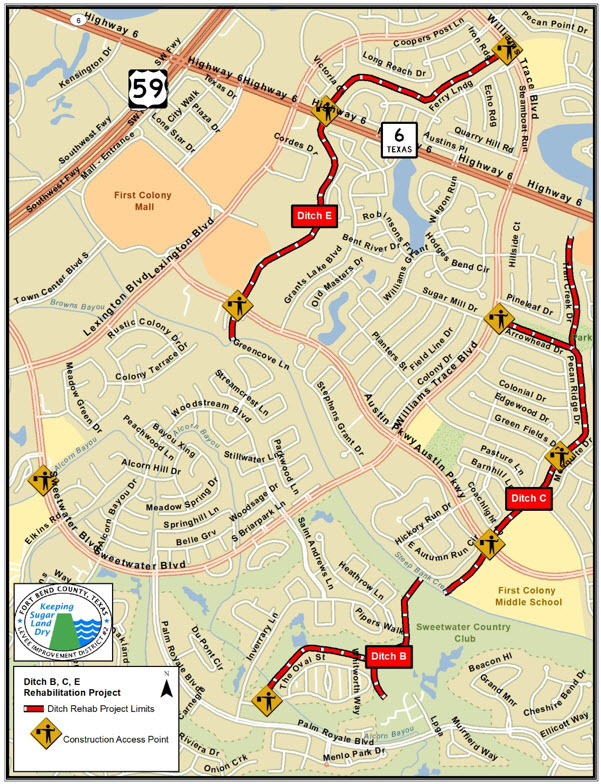 The contractor will enter construction sites from the locations noted on the map, including Austin Parkway, Highway 6, Sweetwater Blvd. and Williams Trace. Please be aware of construction traffic when traveling through these impacted areas. For questions or comments about the project email the FBCLID2 General Manger at gm1@fbclid2.com. How high is the levee? How high is the Brazos River? How do the FBCLID 2 drainage systems and pump stations work? Should I buy flood insurance inside a levee?